I gotta say, the daily commute has been feeling a bit hairy lately. Seems like I’m passing accidents more frequently. Watching a bit more weaving. I can’t be sure that it’s all related to distracted driving, but sure seems like a lot of it is. Every day I witness drivers looking down at phones at stoplights, missing the change to green. I even saw a smartphone mounted to one car’s driver side dash and the driver scrolling through websites during rush hour traffic on the freeway. Scary stuff. The truth is, distracted driving (of any kind) is dangerous. In 2012 alone 3,328 people were killed and an estimated 421,000 people were injured in motor vehicle crashes involving a distracted driver. Cell phone use was reported in 18% of distraction-related fatalities in America. Texting while driving is particularly dangerous because it involves three types of distraction: manual, visual, and cognitive. And, the story is even worse for inexperienced drivers. 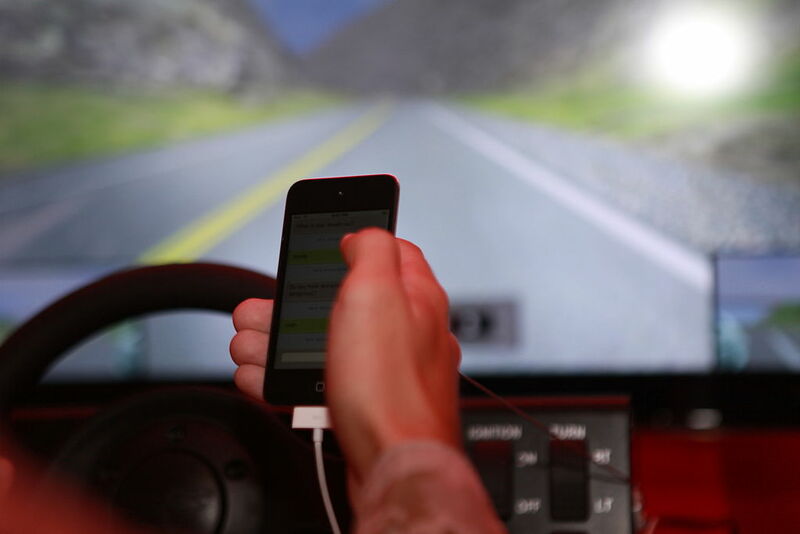 A 2013 study in Pediatrics found that nearly half of US high school students aged ≥16 years reported texting while driving during the past 30 days; and that these young drivers were more likely to engage in other risky motor vehicle behaviors, such as not wearing their seatbelt or driving under the influence of alcohol. And we know that young, novice drivers are significantly more likely to experience a crash or near crash when engaged in these activities. So, not only do we have a responsibility to ourselves and the drivers around us, but we have a big responsibility to role model for our kids. If they see us texting while driving, or even glancing at our phones while stopped at a redlight, we are implicitly telling them it’s okay. We put them at risk twice- today, via our own behavior, and in the future, via theirs. And yet, we continue to do this stuff. As Dr. Swanson has pointed out, it seems as though all the rants, PSAs, and blog posts in the world can’t seem to make a dent in changing our behavior. The dopamine pull of the phone is just that strong. Maybe technology itself will have to save us from ourselves. Maybe we’ll need phones that know when we’re driving and lock us out. Or maybe those self-driving Google cars I see around Silicon Valley will come to our rescue. Or maybe we’ll decide to prioritize high-quality public transportation and text to our heart’s content as we ride the train to work. Until then, I’ll add my plea. Please, just wait. Place your phone out of reach when you get in the car to reduce temptation. Talk to even young kids about the importance of paying attention to the road. (My three-year-old backseat driver knows that mommy should never touch her phone while driving and sometimes can’t answer his question right away if she’s in heavy traffic.) Minimize other distractions while driving (like eating or applying make-up). Organize your music or start your podcast prior to setting out for that daily commute. Talk to your teens about distracted driving and show them this video. Or this one. When we’re driving, we must just drive. For us, and for our kids. This entry was posted in Parenting, Safety and tagged distracted driving, it can wait, texting and driving by My Two Hats. Bookmark the permalink. Wonderful, wonderful post! Thank you for including the videos. It just brings the point home even more. I’ll share this with our communities on FB and Twitter and I hope others share this with their families. Thanks again! Great post. I just started driving because I was a late bloomer but I make sure I am cognizant of not being a distracted driver. Powerful video. I will my new drivers watch it!